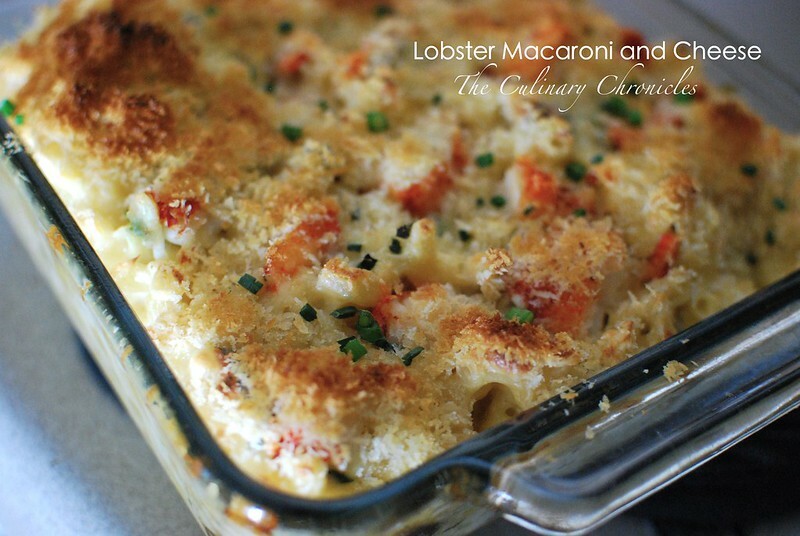 Lobster Macaroni and Cheese because it’s my Blogiversary! In the past three years, I left a comfortable job and moved to a brand new city. My family has welcomed a few new additions and have had our share of ups and downs. I’ve celebrated milestones with friends and loved ones and have stumbled upon great adventures. And of course, three years ago I started this blog. I can hardly believe how a quick decision one “wine-induced” night has catapulted me into a wonderful world of food and self-exploration. After three years, I am still so grateful. Thanks to my loved ones who serve as my steady food testers and inspiration. And Thanks to you All for your continued support of The Culinary Chronicles. I promise, there’s a lot more to come. ps. 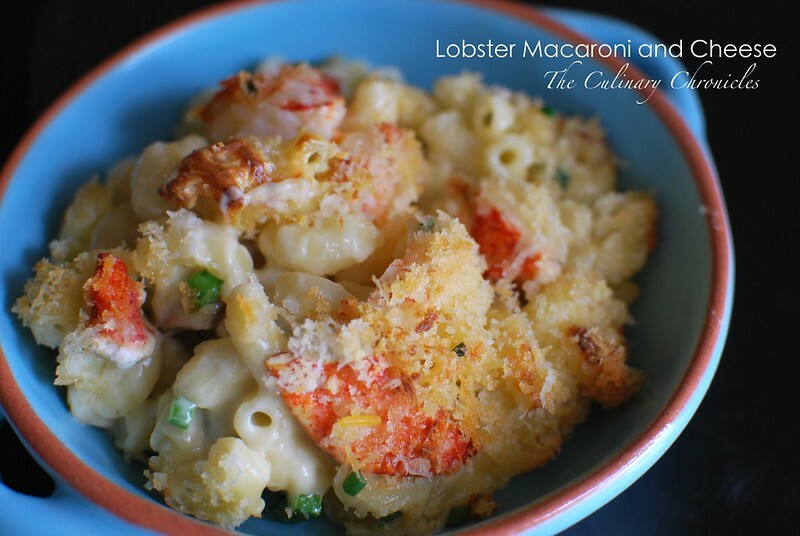 To celebrate, try out my Lobster Macaroni and Cheese. Comforting and a bit decadent…just how I like my food. Bring a large pot of water to boil. Heavily salt the water and cook the pasta for 8-10 minutes until it is just shy of al dente. Drain well and set aside. In a small saucepan, add the milk and bring to a slow simmer. Meanwhile, in a large pot, melt the butter and vegetable oil together over medium-low heat. Sprinkle in the flour and whisk for about 2-3 minutes to allow the flour to cook. Whisk in the hot milk and continue to stir until the sauce thickens. Remove the pot from heat and add in the Gruyere, Cheddar Cheese and Fontina. Stir until the cheeses have melted and then add in the red pepper flakes, nutmeg, kosher salt and black pepper. Add in the pasta and lobster and stir until thoroughly combined. Pour the mixture into a greased 9×9 inch baking dish. 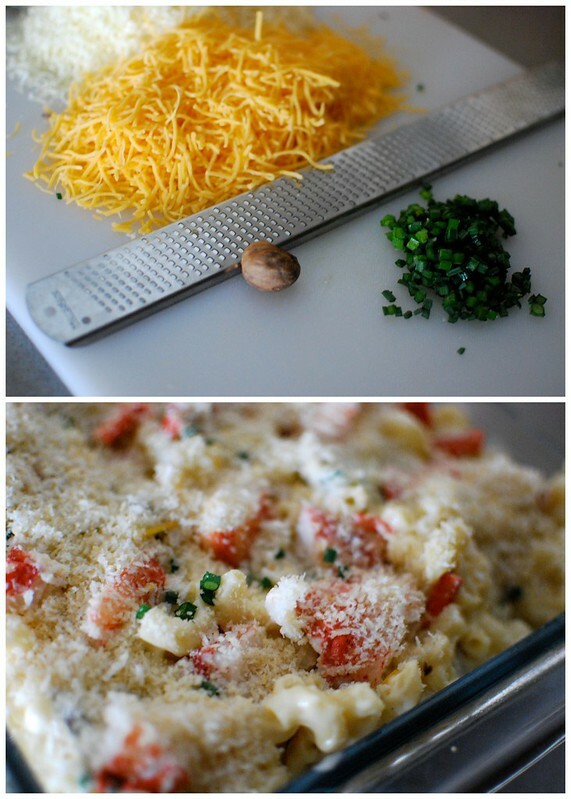 Sprinkle the top with Panko and Parmesan Cheese. Drizzle the olive oil over the top and bake in a 400 degree F oven for 25-30 minutes until the top is golden brown. Remove from the oven and sprinkle the chives over the baked dish. Thanks Kim!!! I always stock up on Molasses this time of year–in bulk! 🙂 Wishing you and E all the best! xoxo! Happy Blogiversary! I’m sorry I don’t always come here to leave a comment, but I always see your post when I get your email! 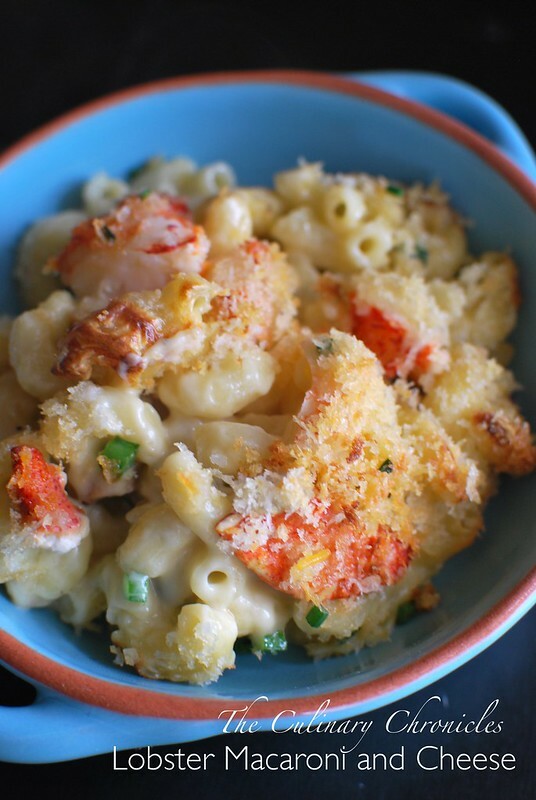 xoxo Lobster macaroni and cheese look soooo good! Thank you Nami! I absolutely LOVE all of your posts–so delish! I like it! Happy Blogiversary, I wish it was more often!